As a parent, it is your responsibility to teach your kids to live a Christ-centered life. You need to make it a top priority to remind your kids the importance of making Godly decisions and placing Him at the center of their lives. As you know, young children are the ones who need extra support and assistance from us parents. Read the gospel message to your kids every day through the “Hope For Each Day” devotional. This book is jam-packed with 365 heartwarming devotions suited for the young ones. The pages are very engaging, making it one of the perfect items to store in your house. What makes this book stand out is that it highlights the importance of making kids believe in the power of hope. In the process of completing the daily devotions, your children will learn the basics of building a more loving relationship with God. View current pricing on Amazon. This devotional will help you achieve the goal of growing your child spiritually. The pages contain wisdom from the bible, complemented with easy to understand kid-friendly illustrations. The devotions are short but highly engaging. Your children will definitely find it interesting and ask you to read it every single day. This is also one of the best devotionals for kids when teaching them to remember relevant Bible verses and exciting facts about the history of the Bible. View current pricing on Amazon. Grace is a beautiful gift from God. Your child deserves to know that. Fortunately, there is a devotional to make it happen! The “Grace For The Moment” devotional features important Bible verses and short statements explaining scriptures. Each devotion ends with “Growing In Grace,” in which kids are encouraged to apply the verse towards their daily lives. This devotional is perfect for young ones it is brief and everything is easy to read or understand. View current pricing on Amazon. Teach your kids about the essence of finding their purpose in this life. They do not need to establish everything right now, but encourage and train them on how to grow in Christ. 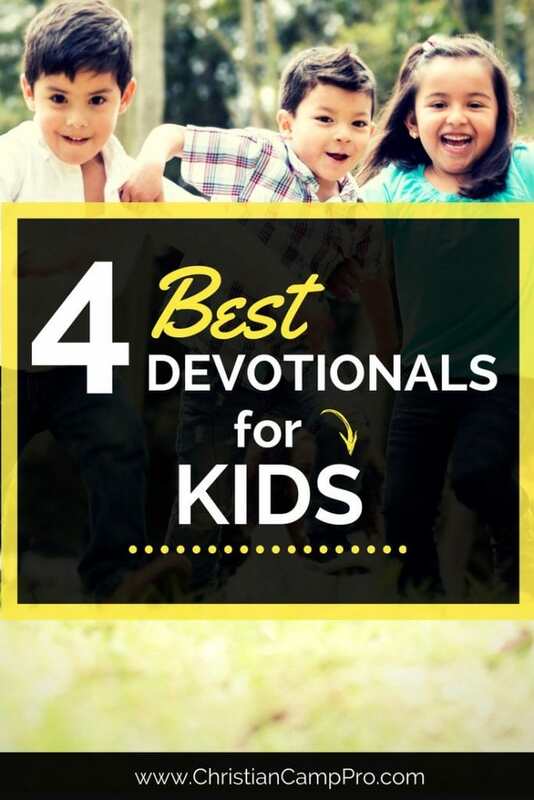 This is one of the best devotionals for kids that want to read encouraging messages and short prayers that will help them discover their passion and calling. It follows a specific set of themes and ideas from the book of Rick Warren entitled The Purpose Driven Life. If you liked that book, you will like this kid’s themed devotional. It will help your children understand what their purpose is, and also encourage them to always keep God as part of their life journey. View current pricing on Amazon.